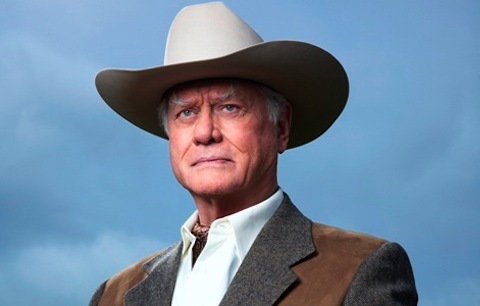 D-FW responded in a big way to TNT's double-barreled Dallas re-launch Wednesday night, putting both episodes atop the ratings heap in total viewers and advertiser-prized 18-to-49-year-olds. The elongated premiere, from 8 to 10:15 p.m., out-drew the Texas Rangers-Arizona Diamondbacks game in total viewers and won in the 18-to-49 demographic against Fox's potent So You Think You Can Dance. Of course, if Dallas can't make it here, it can't make it anywhere. Still, this bodes pretty well for the show's prospects on a national scale. The first episode of Dallas averaged 331,931 total viewers from 8 to 9:15 p.m. while the second did even better with 338,705 viewers. Prime-time's second most-watched program, the Rangers-Diamondbacks face-off, averaged 196,449 viewers on Fox Sports Southwest. Among 18-to-49-year-olds, Dallas had 153,710 viewers for the opening episode and 144,104 for the second. Those are decent but not spectacular percentages in this key demographic. And they probably pretty much matched TNT's expectations. So You Think You Can Dance was the runner-up in the 18-to-49 demo derby with 86,462 viewers from 7 to 9 p.m. In other words, younger viewers were losing interest a bit as the night wore on while those old enough to vividly remember the original had even more interest. In Wednesday's local news derby results, WFAA8 ran first at 10 p.m. in total viewers but Fox4 won with 25-to-54-year-olds, the main advertiser target audience for news programming. The golds also were split at 6 a.m., with Fox4 winning among total viewers while WFAA8 had the edge among 25-to-54-year-olds. There was no sharing at 5 and 6 p.m. WFAA8 swept both of those competitions.